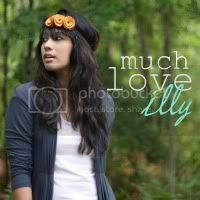 much love, illy: time to partaaaaaay!! // Self-Portrait Saturday! if you are like me, i'm awe of bloggers who do a portrait a day challenges. they say you learn so much about yourself. things you love about yourself. things you despise. they look back at certain days and remember why they were smiling or not smiling, why the day was the best day of their life or not. you get the picture. um, no pun intended. welp, with this self-photo, i remember how exhilarating that Saturday morning was. i actually got up early to go spend the morning at the local farmer's market with my mom, and i took this photo on the drive back home. the weather was perfect. the car windows were rolled down. the music blasted with our favorite radio station. it was one of those moments were i felt so happy to be where i was at in life. it was a moment where i felt like i truly grasped the meaning behind savoring life. life is obviously not perfect but at that moment, i felt grateful - and i want that perspective from that day to be ingrained in me. p.s. 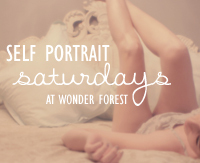 so excited to be teaming up with mah friends Dana and Rebecca to celebrate Self-portrait Saturdays over at The Wonder Forest. and be sure to read the deets below so that you can join this fun link-up partaaaay! and of course, thank you to the incredible Dana for putting this together! 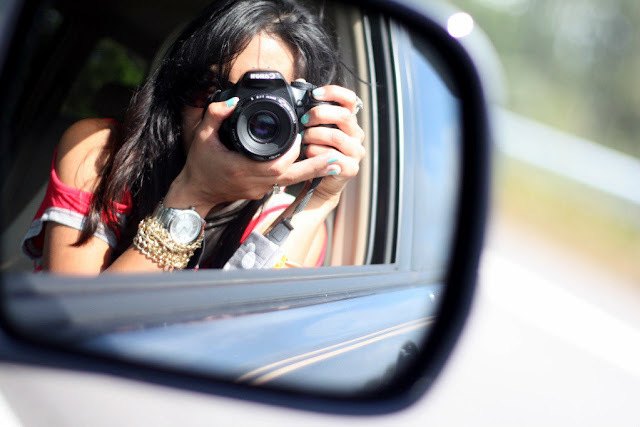 - Grab your camera and take some awesome self portraits! - Link up your post below! *Enter your blog post URL not your actual blog URL. 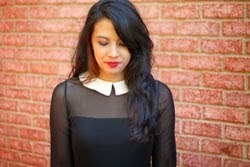 - Visit the hosts blogs and say hi, and don't forget to visit the other participants! I have a pic of me just like that! love it. Will certainly be doing this later today...it's such a great idea! I love side view mirror camera shots! This is such a FUN portrait!! Love it! dana's blog sent me over here and i'm very glad she did! love this photo, i have one just like it too. Love this photo, I can never seem to get mirror shots right! I've never attempted a self portrait...Maybe it's time?